Your children love dog games? You should get a talking puppy virtual pet and check if they are ready for a real one. Virtual pet games like My Talking Lady Dog will test your kids’ patience and caring skills and show whether a cute baby dog should join your family. Get this puppy game and have fun! After My Talking Dog - Virtual Pet and nearly 10,000,000 satisfied users, we decided that Charlie should have a lady friend, as well. 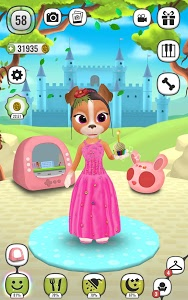 My Talking Lady Dog Daisy will soon become your favorite virtual pet and you will love looking after her as she grows from a baby dog to a lovely adult talking lady dog. With a talking dog virtual pet, you can forget about all the mess and howling nights. By downloading My Talking Lady Dog, you will get an adorable talking puppy girl named Daisy. 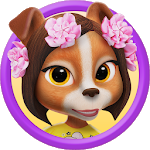 Puppy games combine cuteness and fun, but Daisy loves playing with both girls and boys, which makes this virtual pet game appropriate for children of all age (oh, parents will love it too!). Dog games are fun, so why not give this talking dog a chance? Adopt this baby dog virtual pet and watch her grow into a beautiful talking lady dog! She will definitely warm your heart!
? EXPLORE ALL THE OPTIONS ? 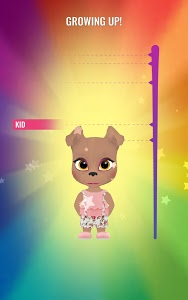 Personalize your talking puppy by choosing your favorite outfit for your virtual pet to wear. You can change clothes, furniture and pretty much anything around the room. Also, you can name your baby dog as you please and look after her until she becomes a fully grown talking dog.
? LOOK AFTER YOUR VIRTUAL PET ? When you adopt Daisy, she will be just a cute talking puppy in need of care. 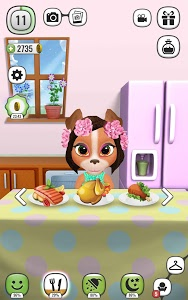 You will need to bathe, feed and play with your talking dog so that she can grow into a beautiful lady dog virtual pet. You can also play mini dog games with Daisy and set your personal score. Watch out for those energy levels, though, because your virtual pet needs her sleep in order to be able to play all day long. Virtual pet and puppy games can be so much fun for everyone and there is nothing more beautiful than a child’s laughter. This talking dog virtual pet will put a smile on your children’s face while they learn to care after a living being, thus getting ready for a baby dog they so long to have. Dogs are people’s best friends and a talking puppy not only listens to you but repeats what you say so it’s like hearing your thoughts out loud. 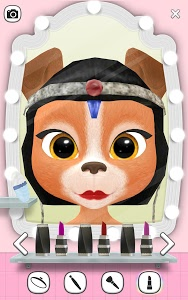 Get My Talking Lady Dog and enjoy playing dog games no matter how old you are! Similar to "My Talking Lady Dog"